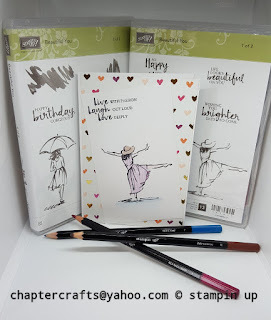 Beautiful you card Stampin up! Hello and welcome back to Chapter Crafts. 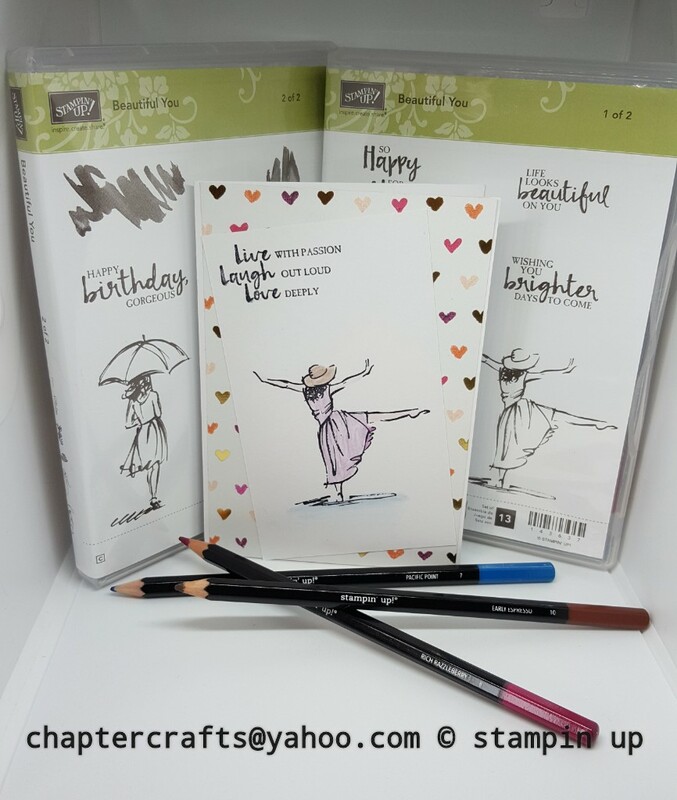 Today I have made a very simple card using the stamp set beautiful you from stampin up! This has to be one of my all time favourite set. It is so easy to create something for everyone with this set. Painted with love designer series paper 5 7\8" x 4"
Whisper White card 5 1\4" x 3 1\8"
Coloured ink used is basic black ink. Watercolour pencils in rich razzleberry, Pacific point and early espresso.